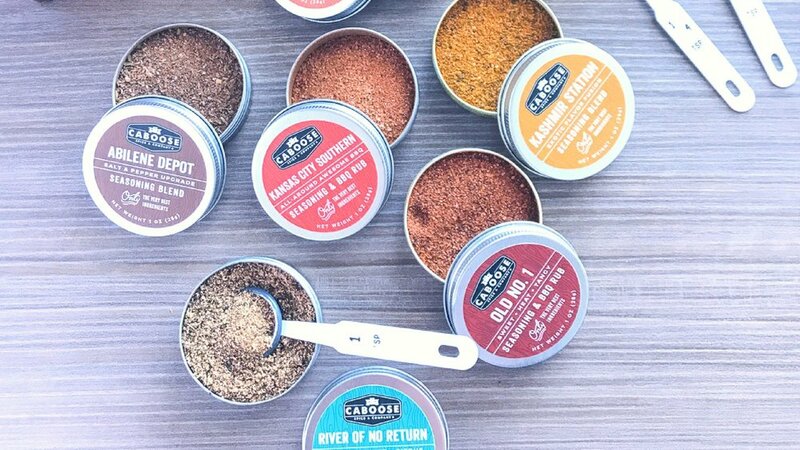 There's no single "right" way to use our seasoning blends. There are some good practices and jumping-off points which you'll find below, but please, please, please — let your imagination run wild! The most fun you'll have in the kitchen or when cooking outdoors is when you try something new and it's awesome. And you know what? Sometimes it won't turn out as well, and that's just as valid as a learning experience. Our kitchen fails, more often than not, make for great stories! River of No Return Mild and sweet, smoky, savory, lemony, fresh Chicken, pork fish & seafood, grilled veggies, corn on the cob, popcorn, aocado toast, pastas, salads, anything your heart desires. Three Kings Balance of spicy, smoky, and sweet with notes of maple and hickory Chicken, pork, beef, griled pineapple, scrambled eggs, coleslaw, potato salad, bacon mac & cheese, anything that needs a kick in the pants.